I wonder how many people outside of Norfolk have heard of Themelthorpe. 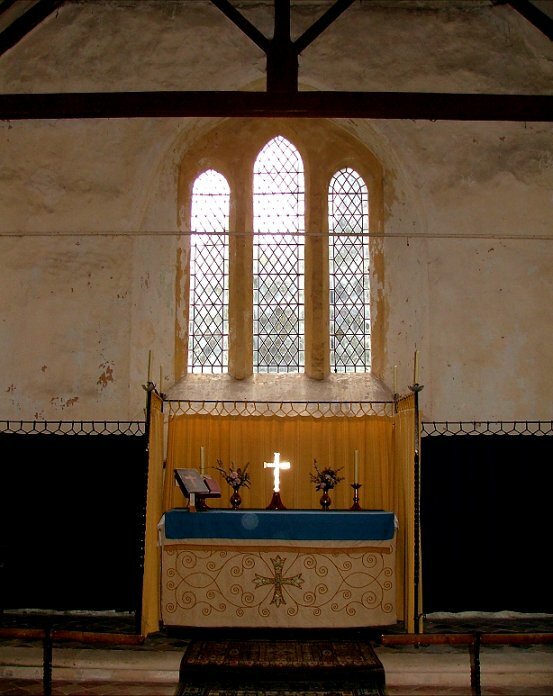 There must be plenty even in the county who don't know it, and as for St Andrew, I think it would even be possible to live in the parish itself and not be aware of the church's existence. The graveyard is an intensely secretive space, surrounded on all sides by high trees and set back about fifty metres from the quiet road. A few cottages along the road make its isolation complete, and you would not even guess that the church was there if it wasn't for the elegant little gates with their wooden sign. 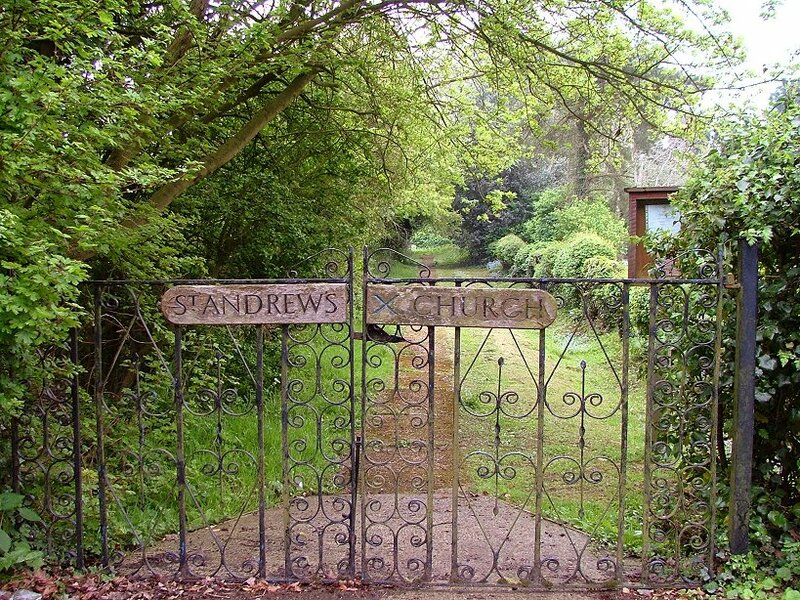 The walk up to the graveyard is along a narrow path between a hedge and a flower-filled cottage garden, and your first view of St Andrew comes as you step into the graveyard. The building is very simple. Not much has happened here since the 13th century. 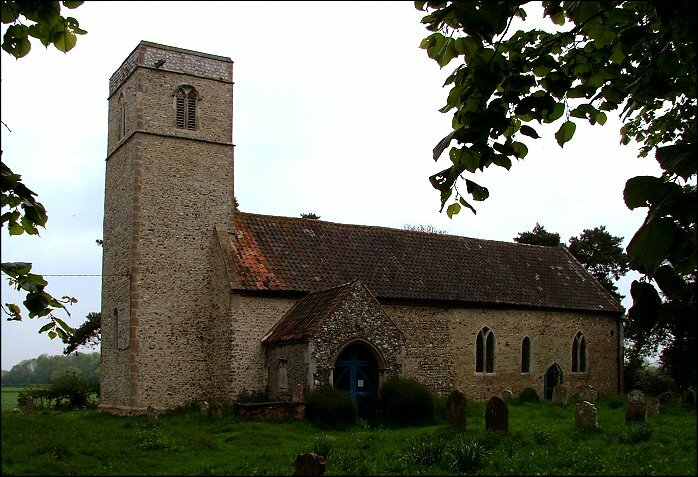 With the exception of the porch, this is the church which our ancestors before the Black Death knew, and here it still is, a touchstone down the long generations. 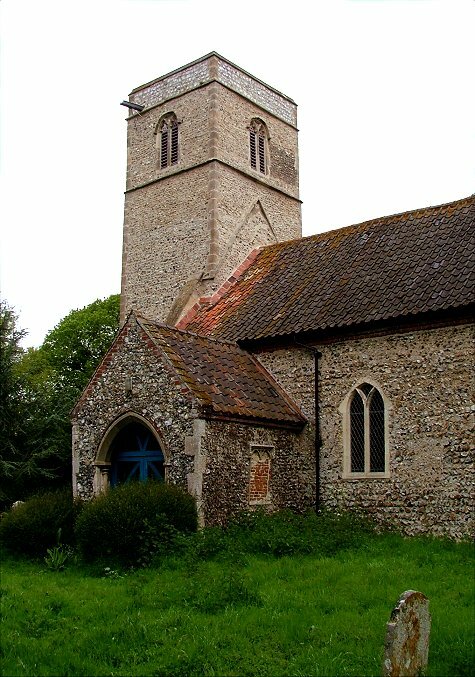 The nave is older; you can still see where the Norman walls were extended eastwards, probably about the time the tower was built. The interior is entirely rustic, and even the 19th century restoration has left it feeling local and homely. 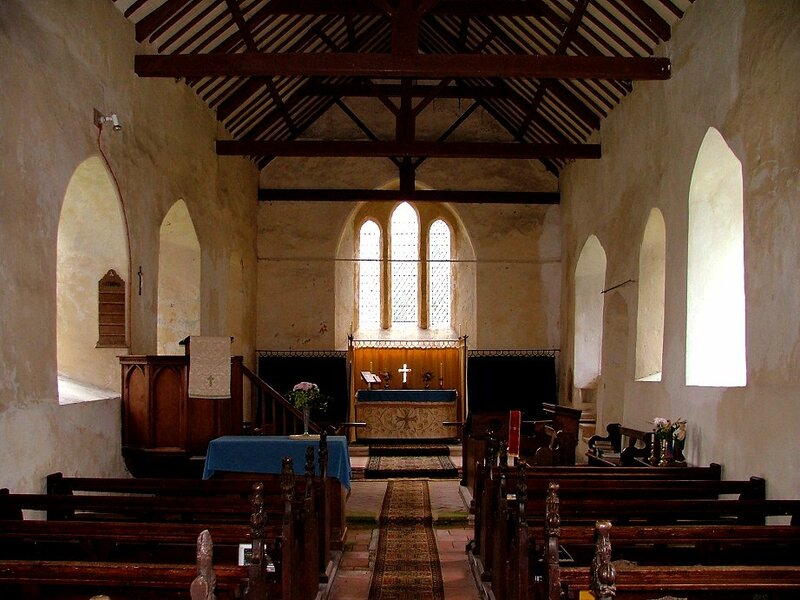 Despite the elusive nature of the church, it is obviously well used and well loved. 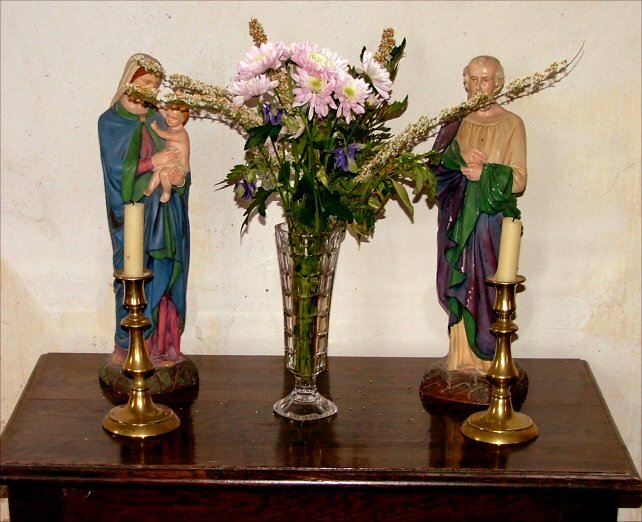 There were fresh flowers and the altar is was immaculate. 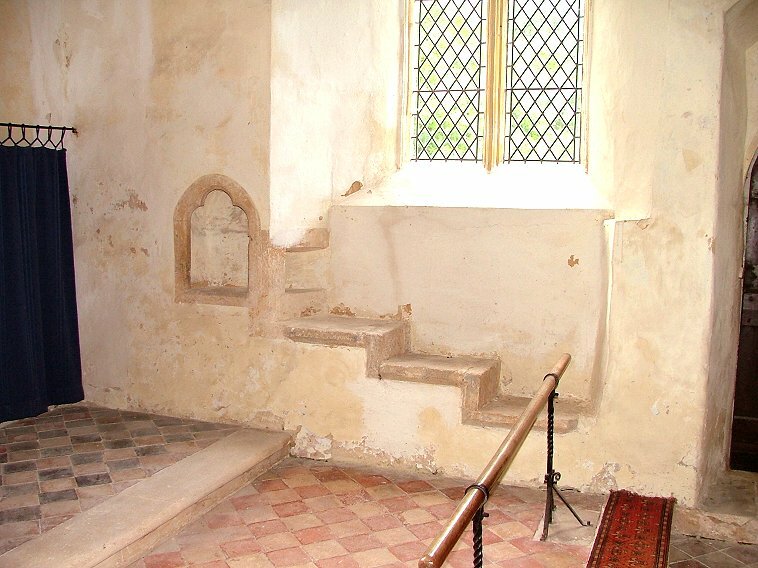 There is one significant and lovely medieval survival here. 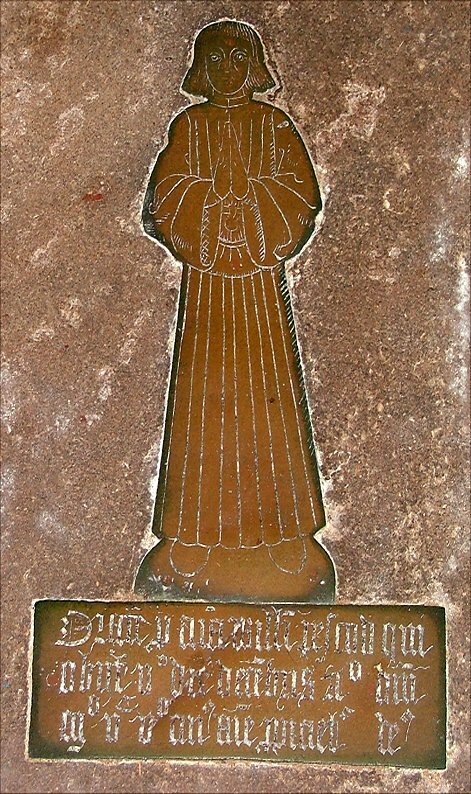 This is the figure brass of William Pescod, who died in 1505. 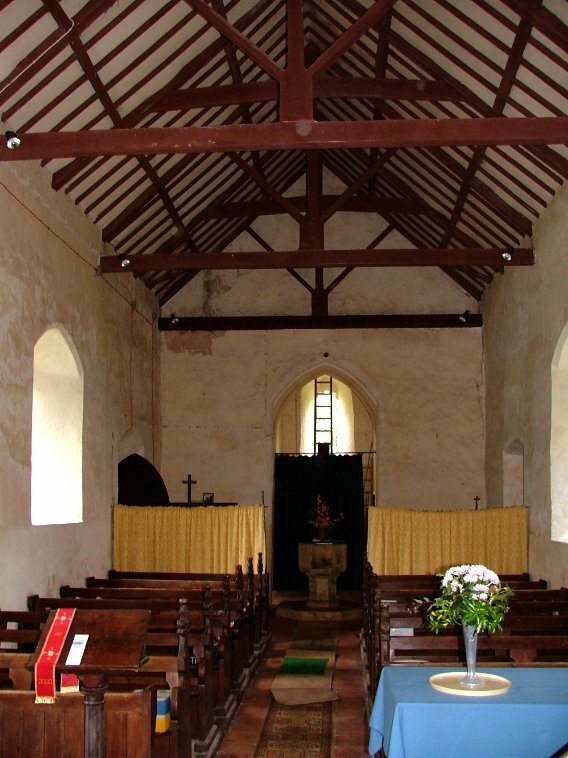 It is hidden under the nave carpet, and you would not know it was there if you did not think to look for it. He stands simply in a tunic, his hands at prayer, his hair in the pageboy style of the early 16th century. 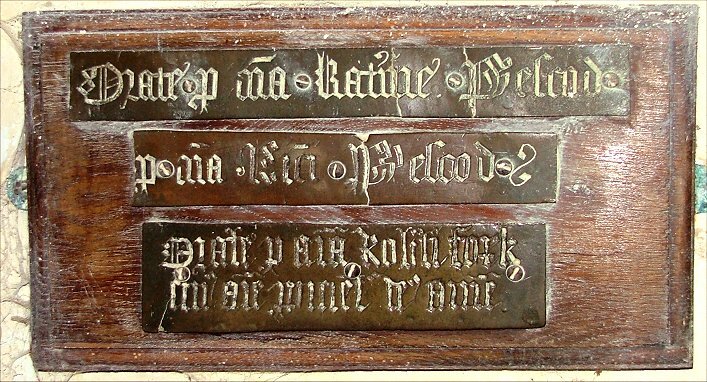 There are pieces of three other pre-Reformation brass inscriptions, two of them to members of the Pescod family and the other to a Tork, now mounted on the nave wall. Fragmentary and evocative, they are appropriate things to find in this place.